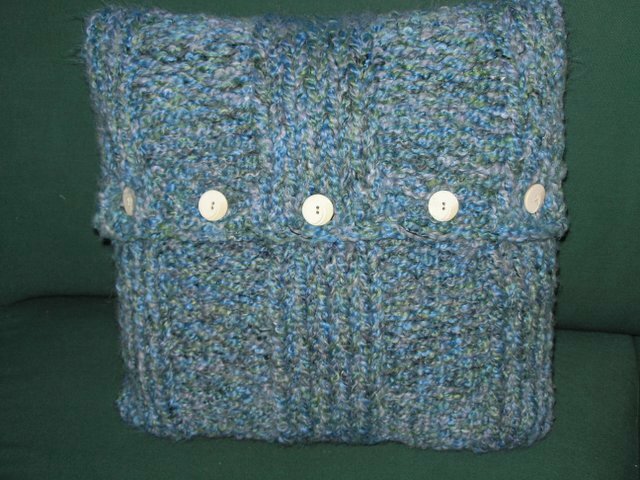 Finally, my Homespun pillow is complete. I think at most I need to block it a bit, most likely I will be lazy and mist it with some water and toss it in the dryer on low with the pillow form inside. My needleroll is nearly complete. The design is all stitched, but silly me had forgotten the part about hemstitching which as far as I'm concerned is a dirty word ;) Last time I had hemstitching to do I talked my aunt into doing it for me and I did some work she wasn't so excited about on a piece of hers. But I'm sooo close, I really must make an attempt at hemstitching. Once I actually do it I'm sure it won't be so bad, I think if I press the folds a bit it will be easier as well as the one time I tried I got angry because the linen kept shifting on me.